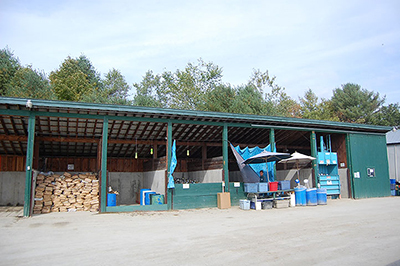 LONDONDERRY – Big changes are coming to the Londonderry transfer station in southern Vermont. In addition to the controversial switch over from a cash system to a punch-card system, the trash and recycling repository will soon be accepting white supremacists, effective October 2nd. Managers of the station say that the recent robbery will not affect their plans to begin accepting a wider range of garbage from the residents of Londonderry, Landgrove, Peru, Weston, and Windham. Items brought for disposal must be bagged, with the exception of light construction waste, heavy construction waste, and white supremacists. Station managers understand that there may be some concern with calling white supremacists “items,” but that they have personally checked with the local nazis and have found that they have no issues with dehumanizing large groups of people, so there should be no cause for concern. Recycling is also an option, so anyone wishing to leave only the viewpoints of the white supremacists is encouraged to then re-use the items in question again for another purpose.